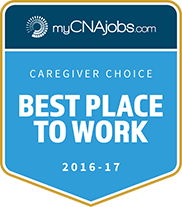 Burlington-Mercer County CHHAs and CNAs: Visiting Angels has assignments for you! If you’re a NJ-certified home health aide in Burlington or Mercer counties, our busy Visiting Angels is looking for you! We have lots of assignments to fill on an ongoing basis, many of which are long-term. We have hourly, live-in, and overnight assignments. You’ll have an opportunity to work one-on-one with senior clients in their homes. We’ll keep you busy working as much as your schedule allows! 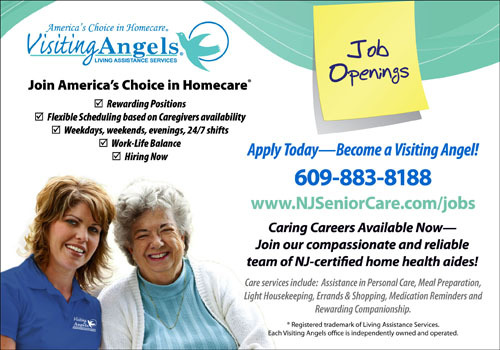 Call us today at 609-883-8188 or complete our online application at www.njseniorcare.com/jobs. 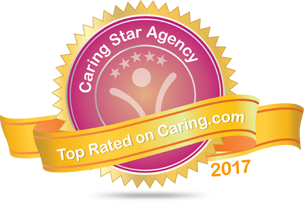 Our New Jersey certified home health aides live and work throughout Mercer and Burlington counties. We service clients in Hamilton, Hopewell, Princeton, Lawrenceville, Pennington, and surrounding Mercer county areas. Our clients in Burlington counties are in Mount Laurel, Medford, Columbus, Southampton, Pemberton, Evesham, Moorestown, Westampton, and surrounding areas.